Just in time for Valentine's day and if you like blue - perfect! 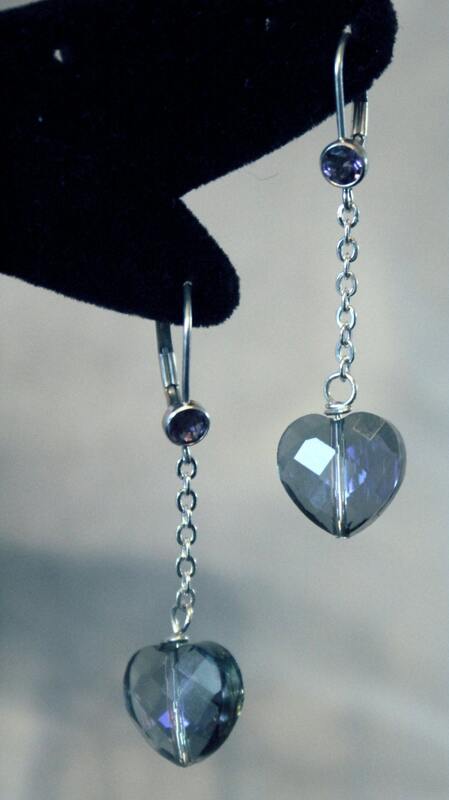 These are sky blue, faceted crystal hearts that have little flashes of violet in them. They dangle from fine silver chains. 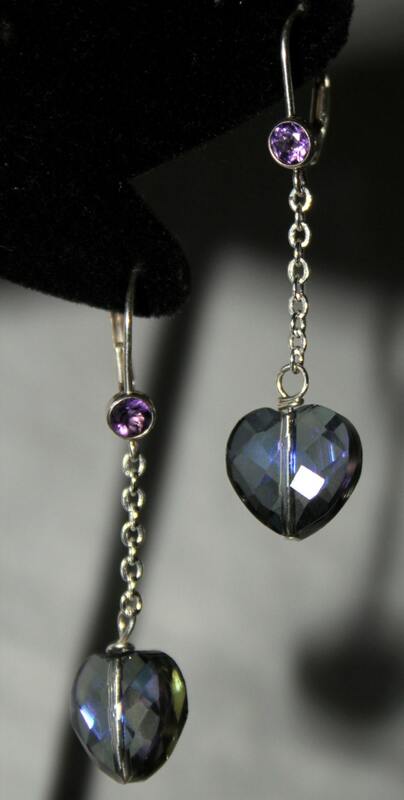 They are on lever backs with a small amethyst crystal in the top and front of the earring. They have movement and some sparkle yet are elegant. They are also very light weight.